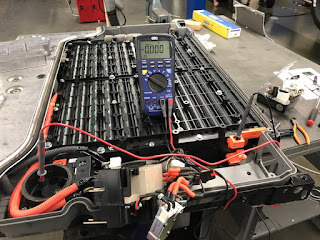 Installation of three PHEV systems for Los Angeles Water and Power was filmed by Matt Kelly of The Next GearPodcast , a podcast that focuses on cutting edge transportation technology. 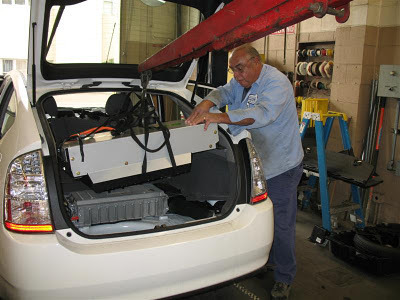 LA County Water and Power's EV tech Ron assisted the Green Gears team during the installation of three PHEV systems. 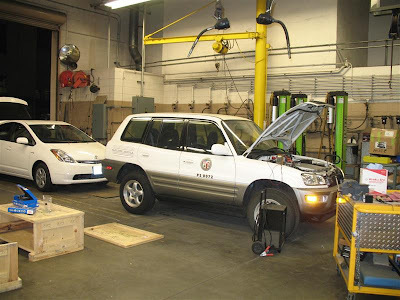 This is one of the remaining 80 RAV4 EV's in the LAWP fleet, at one time LA County Water and Power had over 340 RAV EV's in service. 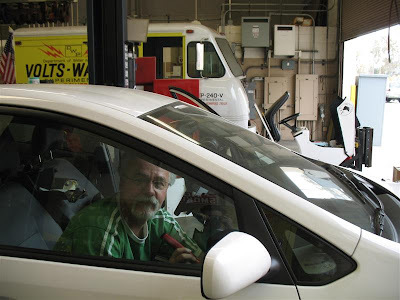 Here Pat Cadam is installing the "EV only button" wiring in a Prius. 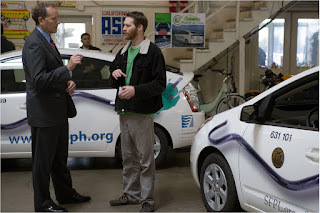 In the background is an electric Van from the 1960's that is still maintained by LA County Water and Power.